Troy Watson, Shalae Johnston, Kacy Greene and Leric Lightbourn have travelled with their tutor Roger Parris for a three-and-a-half week work placement sponsored by the Bermuda Garden Club charity. They are also guests of Bournemouth In Bloom. During their time in the town they will work with council gardeners in the public parks, as well as visiting Colegrave National Bedding Supplies in Banbury. 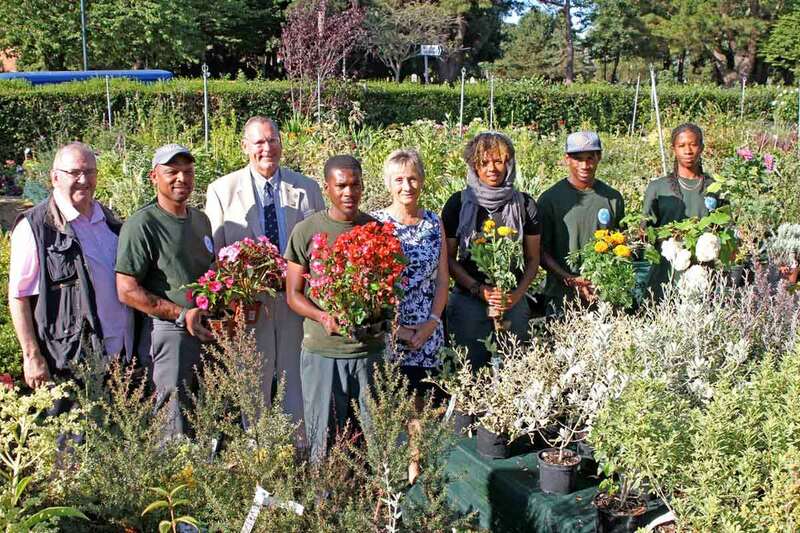 The four Bermudian students have been awarded scholarships in Horticultural Learning Skills after completing a skills development programme that trains young people in horticulture and landscaping. The course was also designed to create life skills and career opportunities.